Add TPG Capital co-founder David Bonderman to the small group of private equity titans who own NHL teams. The NHL Board of Governors on Tuesday voted unanimously in favor of awarding the league's 32nd franchise to Seattle, with investment group Seattle Hockey Partners serving as owners. Bonderman is the majority stakeholder in the group, with Hollywood producer Jerry Bruckheimer and longtime sports executive Tod Leiweke owning significant stakes of their own; Leiweke is also the CEO of the group. The yet-to-be-named team will begin play in the 2021-22 season, allowing time for Seattle's KeyArena to complete a renovation set to cost roughly $800 million. The group will pay an expansion fee of $650 million. Bonderman, 76, has made a name for himself in private equity since co-founding TPG alongside Jim Coulter in 1992, helping the firm grow its AUM to some $72 billion and growing his personal net worth to $3.3 billion, per the latest Forbes estimate. In addition to the TPG Capital buyout arm, TPG also operates the TPG Growth unit as well as other divisions focused on real estate and credit. Bonderman, a University of Washington alumnus, has largely avoided the spotlight throughout his career. But that changed in June 2017, when he left the board of directors at Uber after making a sexist comment at an all-staff meeting called to address sexism in the workplace. Bonderman soon apologized and resigned from the board, and Seattle Hockey Partners ultimately decided to stick with him as the group's majority owner. 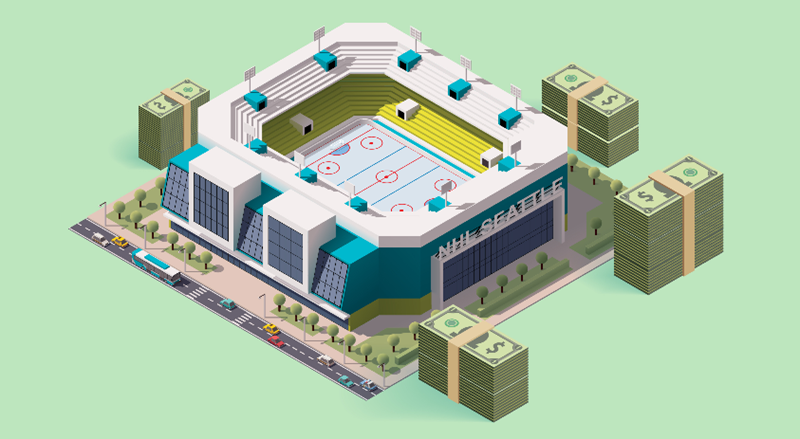 Bonderman is not the only former private equity executive to own an NHL team. Apollo Global Management co-founder Josh Harris and Blackstone senior managing director David Blitzer bought the New Jersey Devils in a $320 million deal in 2013. (Harris and Blitzer also own stakes in the Philadelphia 76ers and English Premier League soccer team Crystal Palace.) In January, billionaire and Dundon Capital Partners founder Tom Dundon acquired the Carolina Hurricanes for $420 million. And Ron Burkle, who co-founded Yucaipa Companies in 1986, has been a part owner of the Pittsburgh Penguins for nearly 20 years.